Brits has an established national infrastructure. Our head office is situated in Pine Town, Durban and we have branches and agents in all the other major provinces. 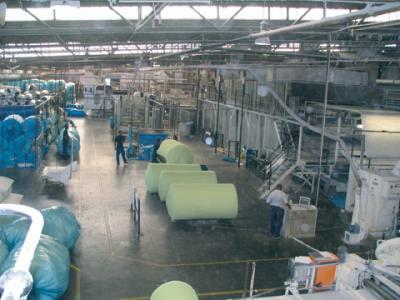 We have four nonwoven production lines across our factories in Cape Town, Johannesburg and KwaZulu-Natal. Click here for our contact details. We have raised industry standards with products such as fillings for household textiles and upholstery, first-tier/original equipment for the automotive industry and ISOTHERM, the flagship thermal insulation product in the Brits stable.